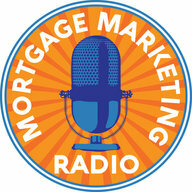 I am thrilled and honored to have industry legend Todd Duncan as my guest on this episode of Mortgage Marketing Radio. Todd Duncan was listed in the top one-percent of the mortgage industry by the time he was twenty-seven. In 1992 he founded The Duncan Group which provides training, coaching and products to the mortgage industry. Todd is also host of the annual Sales Mastery event, which has been running for 25 years. Over 50,000 loan officers, real estate agents and business entrepreneurs have attended the seminar. 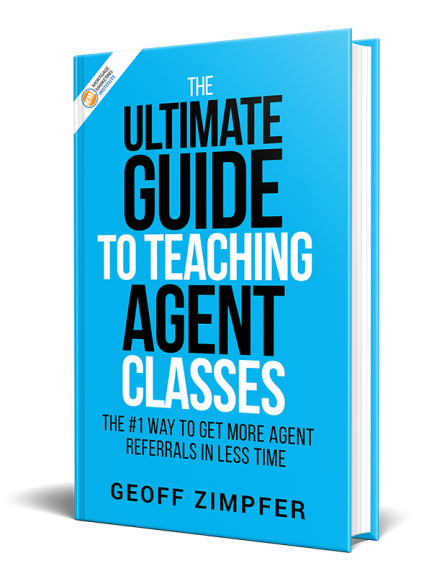 According to CNN, Todd Duncan is “the Tony Robbins of the mortgage industry.” He is the author of 17 books, including the New York Times Bestsellers Time Traps: Proven Strategies for Swamped Sales People and High Trust Selling: Make More Money In Less Time with Less Stress. Are you where you want to be with your goals? Is your business thriving or just surviving? No matter where you’re at, we can always get better in some area. My strongest recommendation is you learn more about Todd’s annual Sales Mastery Event happening October 3-6 in San Diego. 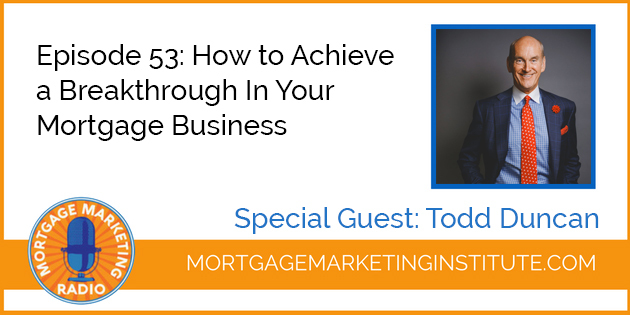 Todd is regarded by many as the #1 trainer and coach for top producing Mortgage Originators in the country today.